The statue of Nelson Mandela in the Union Buildings grounds, Pretoria, Gauteng is a bronze sculpture of former President of South Africa and anti-apartheid activist Nelson Mandela. The statue was unveiled on the Day of Reconciliation (16 December 2013), bringing the official mourning period of ten days to a close, after Mandela had died on 5 December. 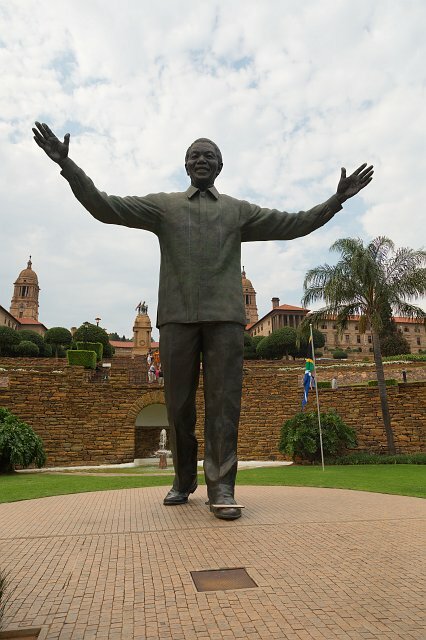 The statue is 9m high, making it the tallest statue of Nelson Mandela in the world. It is made in bronze and weighs approximately 3.5 tonnes.